Skye Gravestones | Christina (Beaton) Campbell. Erected by/NEIL CAMPBELL/27 Fasach/in memory of/his beloved wife/CHRISTINA BEATON/died 15th September 1962/aged 65 years. Picture Added on 19 June 2014. The stone is unclear but Date of death for Christina Campbell m.s. Beaton (my Grandmother) should be 15th September 1962. 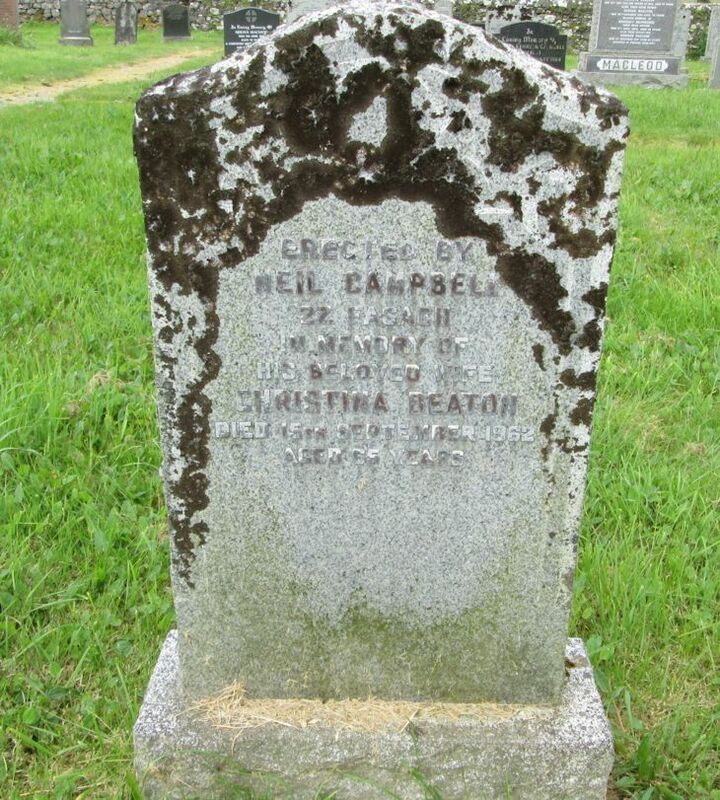 My Grandfather, Neil Campbell, died on 4th January 1968. Sadly, his name was never added to the stone. Added by Christine Wood m.s. Campbell on 23 July 2015. My Great Great Grandmother was Anne (Beaton) Ferguson who lived at 2 Fasach. She is buried at St. Mary's in Dunvegan for some reason. Added by Norma on 09 June 2016.